Me Time is important to me. So many times I forget to take the time to take care of myself, because I am too busy putting my families needs before my own. There is nothing wrong with that, but it is important to take a little time for me. A nice relaxing bath and a good book are the perfect way for me to unwind after a long day. Pretty scents in my bath routine help to set the relaxing mood for me. Yardley Soaps has beautifully scented soaps that are great quality, lather beautifully and are priced under two dollars. Yardley Soaps have been trusted for many generations and I can see why. Their wonderful ingredients, like oatmeal, shea butter, aloe, vitamin E and more in their soap varieties provide me with a luxurious bath. 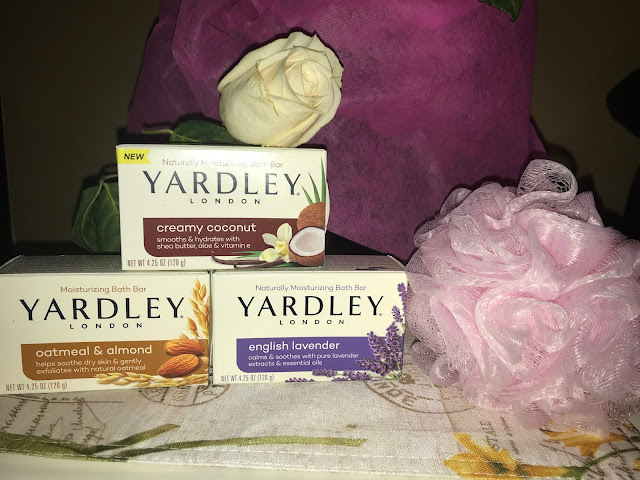 I was given the opportunity to try 3 different varieties of Yardley soaps. They include English Lavender, Oatmeal and Almond, plus their new Creamy Coconut bath bar. I love them all! The English Lavender soap has a beautiful lavender scent with a hint of fresh herbs and spearmint. It is a very soothing scent and lathers wonderfully. The second scent I received was Oatmeal and Almond. This one is so calming to my skin. It has a soft scent with blends of vanilla bean and lemon zest. If you like soaps that soothe. This one is perfect. 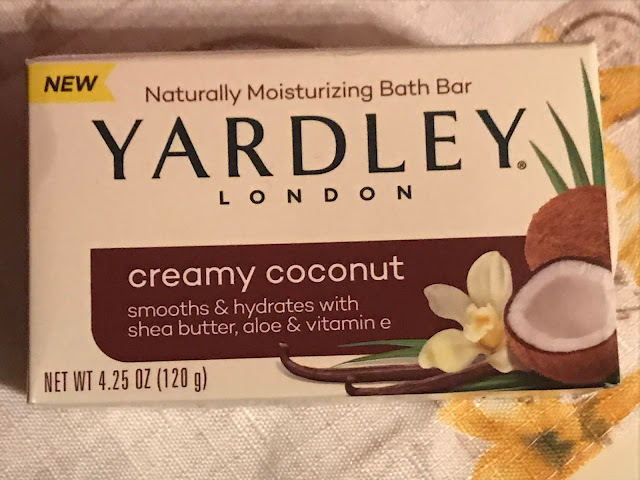 The final soap that I received is the newest member of the Yardley soap family and my absolute favorite scent, Creamy Coconut. This scent makes me feel like I am in a tropical paradise. It has beautiful hints of vanilla flower that give it a warm, relaxing scent. Yardley soap is available in a variety of other scents too! 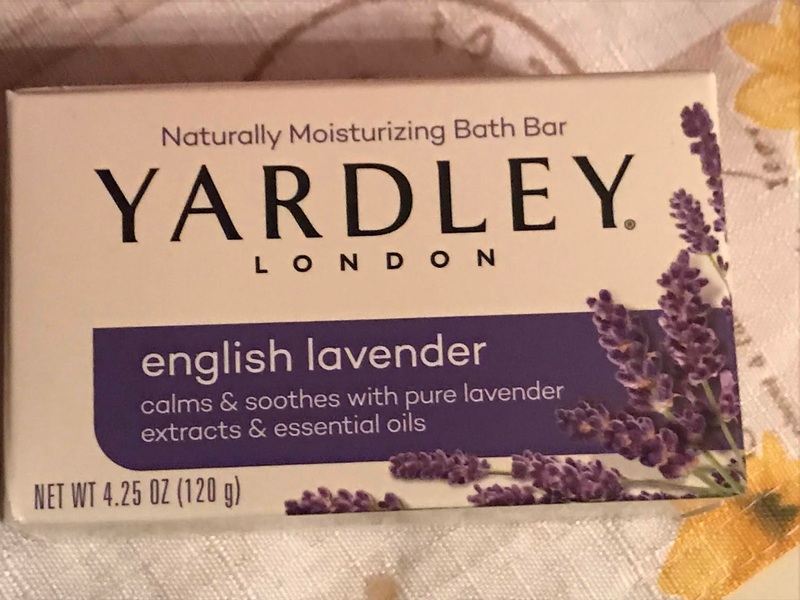 You can learn more about Yardley soaps by visiting their website or you can follow them on Facebook for all of the latest news about their products. 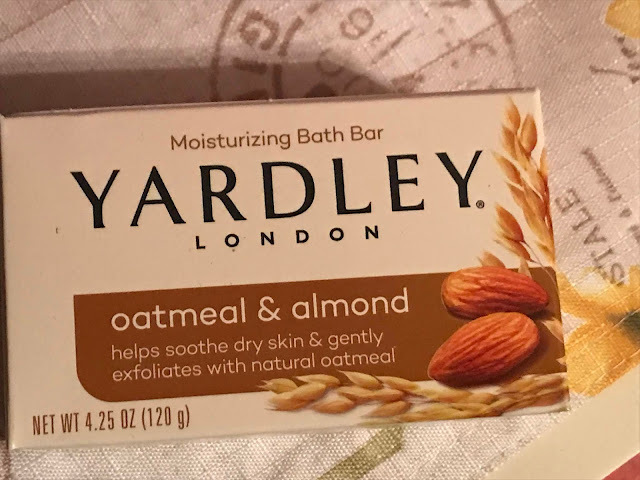 Trusted for generations, Yardley provides the perfect combination of ingredients from nature like exfoliating oatmeal that makes your skin feel good, combined with lush fragrances that make you feel good. Creamy Coconut Moisturizing Bath Bar – smooths and hydrates with Shea Butter, Aloe and Vitamin E. Indulge your body and mind with the creamy lather and luscious coconut fragrance that whisks you away to a tropical paradise. English Lavender Moisturizing Bath Bar – calms and soothes with pure lavender extracts and essential oils. Exhale your busy schedule and indulge in a bouquet of fresh herbs and lavender while the rich lather leaves skin feeling fresh, soft and supple. Oatmeal & Almond Moisturizing Bath Bar – helps soothe dry skin and gently exfoliates with natural oatmeal. Soothe and protect against dry skin with tried and true ingredients that have made this our most popular soap. Disclosure: This post is powered by BrandBacker.